Condition VG-Fine. 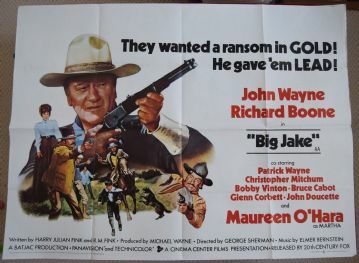 Poster has a light corner crease bottom right and very light edge wear. 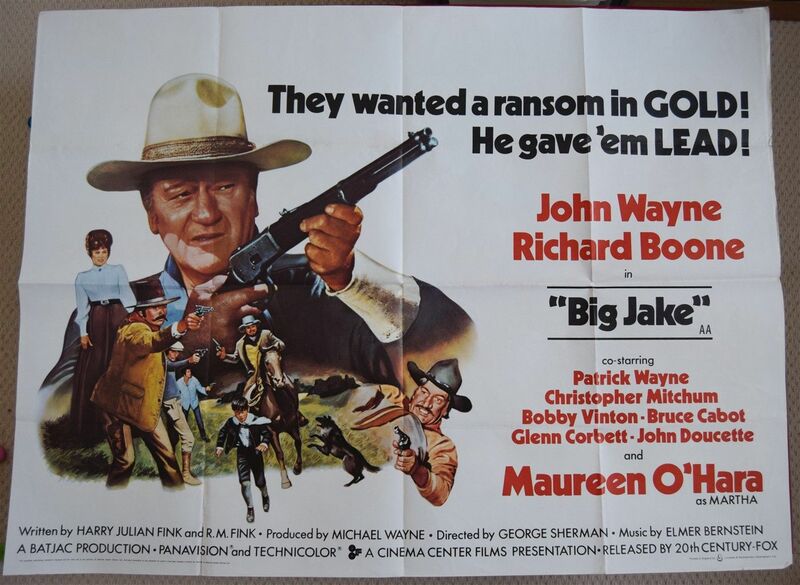 The words Big Jake are written on the back above Wayne's hat. This is noticeable if held to light but if you frame it you wouldn't see it. Displays really well.